To commemorate World Sickle Cell Day, I wanted to share with you our top 5 Summer Sickle Cell Survivor Tips. Drink plenty of water! Here are a few quick tips to encourage a child to drink water throughout the day. Set a concrete goal by designating a cool water bottle and telling the child to drink at least 4/day (or whichever number is recommended for your child’s age and weight). When the goal is met, give your child a simple reward, like a sticker or some other incentive. Check the water temperature. The pool water should be at least 80 degrees. Read more about Sickle Cell and Pool Safety. Don’t over do it. Encourage your child to get adequate sleep at night, which means even during the summer months a reasonable bedtime should be set. If your child’s body is telling him or her to rest. Let the child take a break and rest. If your child attends a camp or school program make sure the teacher and administrators are aware of your child’s need for rest. Do allow your child or anyone else to physically over-exert your child living with Sickle Cell. Avoid extreme temperatures, this includes very hot days. Football and basketball camps should be viewed with caution because much of the physical training is completed during the summer outside and some days may be too hot for a child living with Sickle Cell. It is important for children with Sickle to have regular check ups. The summer is a great time for kids to have fun, but developing a healthy menu is important. The child should eat around the same time each day and follow the healthy plate food guidelines. Fruits and vegetables should consist of have of a person’s plate. I also wanted to share a story about Donovan a Sickle Cell Survivor who is thriving at St. Jude. It is celebrated on June 19th across the globe, and was created by the United Nations by resolution. The World Health Organization (WHO) is working to promote a world wide agenda to address hemoglobin dysfunctions. Retrieved June 19, 2014 from StJude.org. http://www.stjude.org/stjude/v/index.jsp?vgnextoid=9f0b093033ef3410VgnVCM100000290115acRCRD&cpsextcurrchannel=1&sc_cid=smd9208. 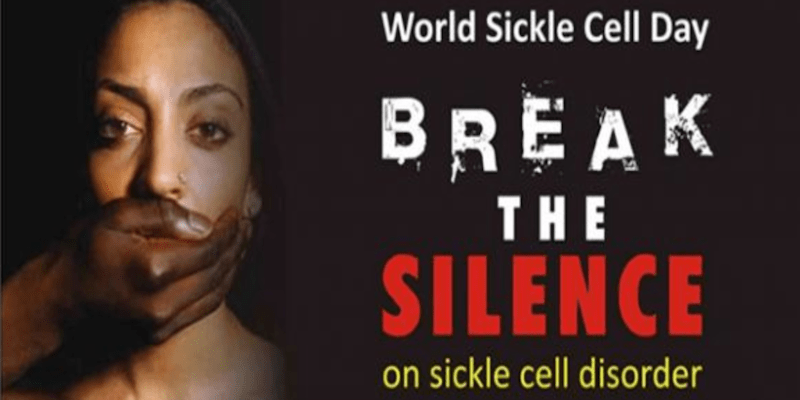 Featured image credit: World Sickle Cell Day. Retrieved June 10, 2014 from http://www.caymanactive.com.